Twenty-five years ago one of the most famous ladder matches in pro wrestling history took place at Madison Square Garden. 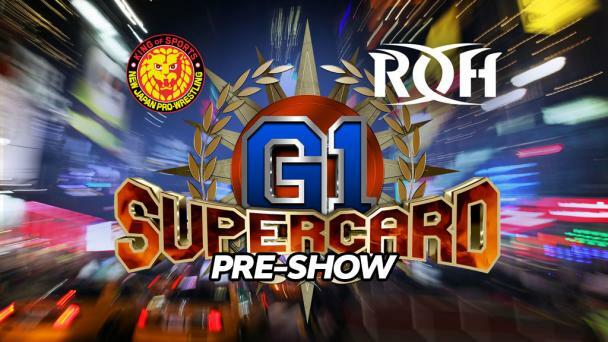 At G1 Supercard on April 6, “The World’s Most Famous Arena” will be the site of another historic ladder match, as the ROH World Title will be up for grabs when champion Jay Lethal, Matt Taven and “The Villain” Marty Scurll go for the gold in in the main event of the sold-out show. 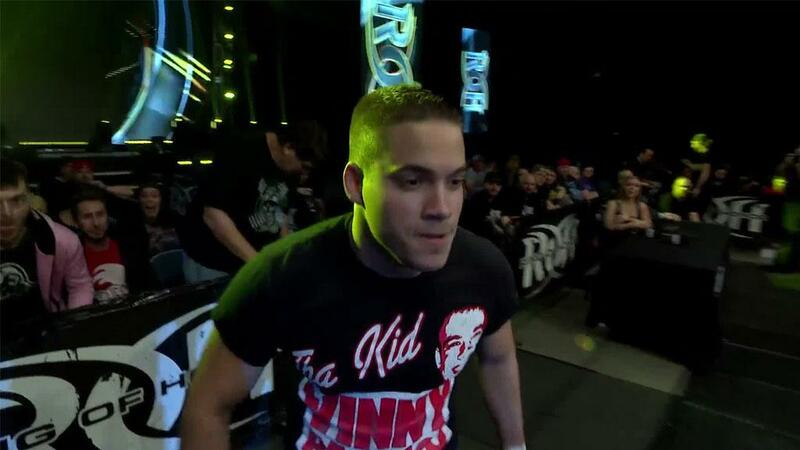 The huge match was made official during ROH’s international television taping in Las Vegas on March 16. 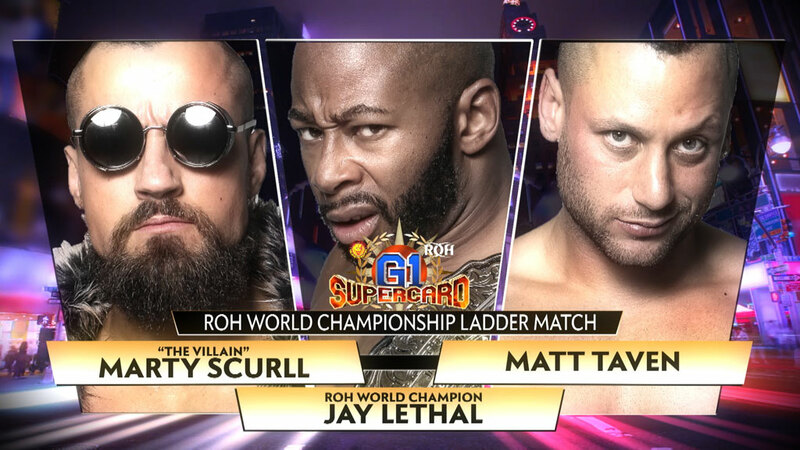 After Lethal and Taven engaged in an instant classic, 60-minute draw at the 17th Anniversary pay-per-view on March 15 in Las Vegas, Scurll came to the ring and walked out with the championship belt while the exhausted competitors were down on the mat. 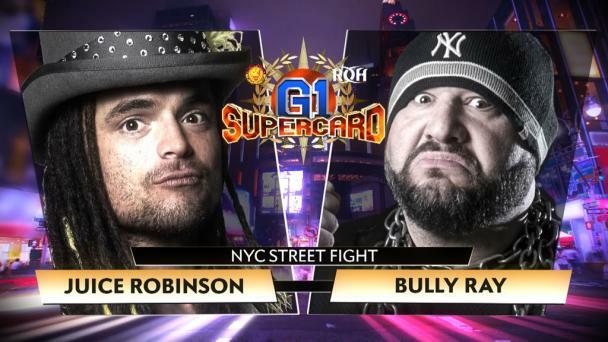 Days earlier, Scurll announced that he was cashing in the title shot he had earned by winning Survival of the Fittest in November at G1 Supercard against the Lethal-Taven winner. Lethal opened the TV taping by demanding that Scurll give back what belongs to him. Instead, Taven came out and once again claimed to be the real world champion. While Lethal and Taven argued, Scurll came down to the ring and handed Lethal his championship belt. With the belt back in Lethal’s hands, Taven said it was now time for Lethal to hand it over to “the real world champion.” Not surprisingly, Lethal left Taven hanging with his arms outstretched. 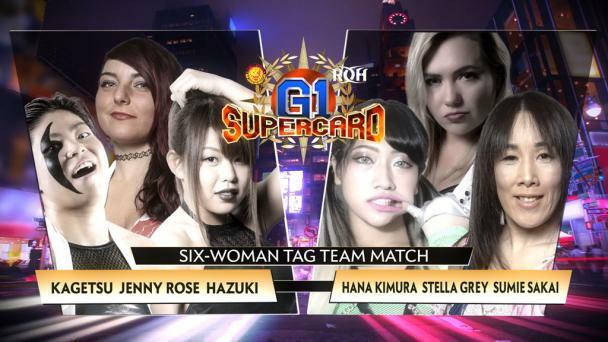 Lethal suggested the issue between the three of them be settled in a Triple Threat Match for the title at G1 Supercard, but both challengers said they deserve a one-on-one shot and want no part of a Triple Threat. Lethal agreed that they had a point, so he had another proposal. Taven and Scurll both agreed to the match.